Note: Please add links to new cuckservative articles in the comments below. I’ll add them. The early incubation of the cuckservative meme seems to have started at MPC and TRS. The virus then quickly spread on Twitter by accounts like these: here, here, here, here, here, here, here, here, and many more. Popehat & Erick Erickson help ‘cuckservative’ go viral. Matt K. Lewis writes at Daily Caller on ‘cuckservative’; TRS responds (great read); Tommy Christopher points and sputters. Heartiste provides a must-read tour de force on cuckservatives. Many others weighing in: Renegade Tribune, The Right Drama, Atlantic Centurion, VDare (twitter), RooshV (twitter), Outside In. 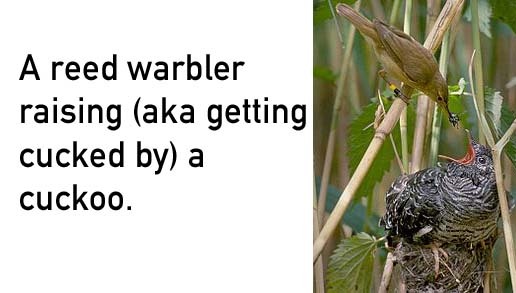 Gregory Hood offers a must-read analysis of cuckservatism. Mike Cernovich & Vox Day weigh in. More TRS. Hot Air: “Don’t believe the cuckservative lie.” TRS responds (must read). Ethnocentric Indian Jeet Heer doesn’t like whites being ethnocentric. Gregory Hood responds: “The Cuckening” (must read). MPC: “Cuckservative mega thread.” Counter Currents: “The Conscience of a Cuckservative.” TRC: “Cuckservatism: The Alt-Right.” Michael Savage discusses cuckservatives (6 min in). The Mitrailleuse weighs in. David Weigel: “‘Cuckservative’ — the conservative insult of the month, explained” (best mainstream article on cuckservative, quotes Richard Spencer). Richard Spencer responds. Cuckservative Erick Erickson is having a meltdown (doesn’t link to alt-right, hoping readers won’t discover it). David Freddoso also in meltdown mode over cuckservatism. More: Ted Sallis: “On Cuckservatives.” William Solniger: “The Cuckservative” (poem). Andrew Anglin writes about cuckservative here. Charles Johnson: “Refugee From Cuckservatism” (misses point on origin and meaning. As pointed out in an email to me: “Goldberg and Podhoretz are neoconservatives, not cuckservatives, and the neocons aren’t cucked. They work for their own ethnic interests. They actually have their own ethno-state.”) Richard Spencer responds here (a must-read, important for getting the cuckservative meme right). More: Iron Legion: “I Was A Conservative Once.” Daily Kos. David Futrelle. Salon. TRS. Libertarian Republic. Daily Kos (again). PJ Media. Heartiste on cucks. Gavin McInnes offers this very disappointing take on cuckservatives; The Right Stuff responds (excellent read). The Cuck Song. Amanda Marcotte (lols). Matthew Rozsa (cuck). The New York Times covers cuckservative. Richard Spencer responds. The Guardian (UK) covers cuckservative. David French is in meltdown mode over ‘cuckservative’. Apparently he still thinks “Democrats are the real racists” because he is a cuck. Massive twitter criticism of David and then he publishes this response. Jared Taylor responds. Hunter Wallace responds. Must see series of musicals inspired by the cuckservative meme. Among the alt-right crowds, one of the most fascinating labels has emerged: The Cuckservative (aka Conservacuck). I’m not exactly sure where it started or who coined it (if you know, please say in the comments below), but it is truly brilliant as it crystallizes a particular personality that we all know too well. If Anthony Trollope were alive today, he’d write an entire series on the cuckservative — or at least make him a re-occurring character in novels. 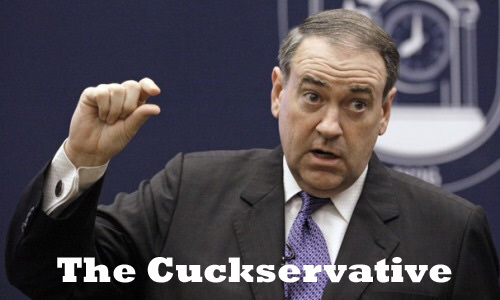 What is the cuckservative? Well, I’ll paint in broad strokes here to provide a preliminary portrait. Mind you, only preliminary. Perhaps commenters can fill in the gaps below. Very basically, the cuckservative is a white gentile conservative (or libertarian) who thinks he’s promoting his own interests but really isn’t. In fact, the cuckservative is an extreme universalist and seems often to suffer from ethnomasochism & pathological altruism. In short, a cuckservative is a white (non-Jewish) conservative who isn’t racially aware. The cuckservative feels very passionate about issues like abortion, which rarely directly affects his own life. In fact, you might often hear a cuckservative talking about how abortion is “racist” since blacks and mestizos overwhelmingly get more abortions that whites. On the other hand, the cuckservative feels uncomfortable about issues like immigration. If the cuckservative is not an outright open-borders shill, he will only give lip service about “securing the border” or “opposing illegal but favoring legal immigration” but he will never talk about immigration very much. After all, immigration has very serious implications for Western Civilization, so it doesn’t concern the cuckservative. 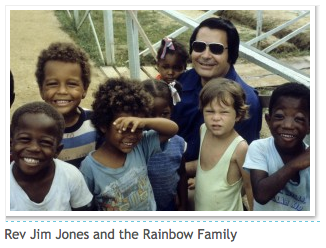 The cuckservative is often fanatically in favor of transracial adoption. He sees it as some divine calling. In a sense, this is cuckoldry at its essence, since these whites are usually forgoing their own inclusive fitness to adopt someone from another race. As Heartiste notes, they’re race-cucking their own families. Although the cuckservative is eager to show his PC bona fides by openness to other races, he really doesn’t want to know about other races. Human biodiversity terrifies the cuckservative, as deep down he has bought into blank-slatism and egalitarianism. The cuckservative would rather just have a Herman Cain or Clarence Thomas poster on his wall than actually have to honestly think about race. The cuckservative, although never Jewish, often seems vicariously to live through Israel. Since the cuckservative feels that he cannot defend his own ethnic interests, he’ll defend Israel’s. The cuckservative cares more about Israel’s borders than his own. Israel adamantly defends its own ethnic interests and perhaps deep down the cuckservative respects this on some unconscious level. On the other hand, the idea of whites acting as a group to secure their own interests terrifies the cuckservative. If you ever want to troll a cuckservative, just repeatedly use the word “white,” such as “this isn’t beneficial for the white community.” The cuckservative will be triggered immediately. The cuckservative is a fascinating personality. They’re all around us. Can they be helped? Is their condition terminal? Who knows, but maybe by pointing out their condition they can seek self-improvement. This was only a general sketch — as there are many more nuances of the cuckservative, but I hope this is a good start. Perhaps others can help fill in the blanks below. This has been cross-posted at Radix Journal. Update: Who coined ‘cuckservative’? Still not 100% sure, but from what people are saying it was probably MPC, or possibly TRS, with various Twitter accounts like this one popularizing it. 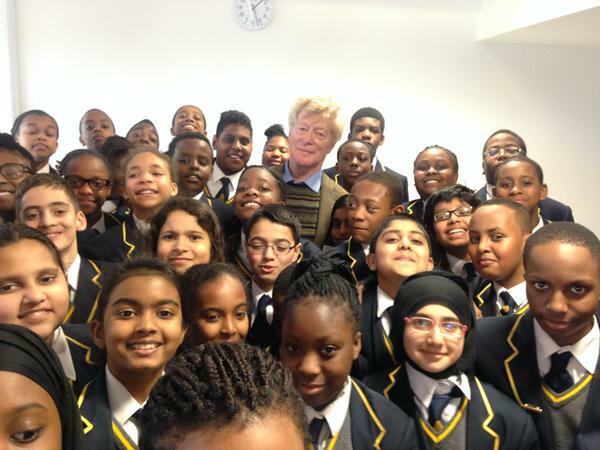 If there is one pic that could be put on the obituary of conservatism, it’s this pic of British philosopher Roger Scruton visiting Michaela to talk about philosophy and fox hunting, where he allegedly was met with blank stares and mild ridicule. Don’t get me wrong. I respect Scruton and have read the majority of his books. His writings on conservatism, aesthetics, classical music and modern philosophy are superb. But this pic symbolizes the changing times. The 20th century was the century of competing ideas like liberalism and conservatism – which largely took place within white homogenous states. The 21st century will be the century of ethno-politics. It seems that Starbucks’ #RaceTogether campaign, where its employees are supposed to talk about racism and make white customers feel bad, is backfiring. People on Twitter are using this as an opportunity for some #realtalk and race.